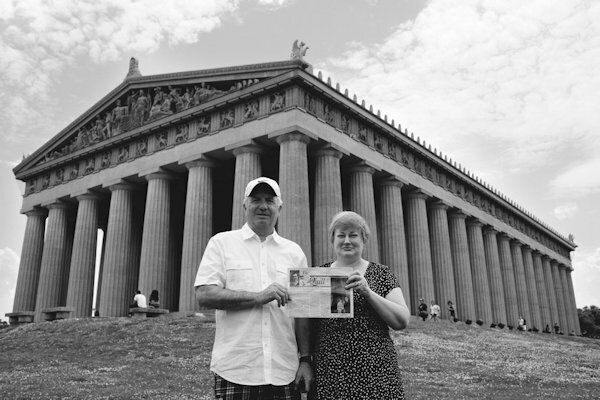 Ted and Terri Sharpe visited their son Tyler and daughter-in-law Natalie this weekend in Nashville, Tennessee where they took the Quill along to Centennial Park in front of the Parthenon replica (constructed in 1897). Tyler and Natalie moved to Nashville in January for a job that Tyler was offered as a graphic designer at Caddis Interactive. "They're about 5 minutes from this park and it's such a good place for a weekend get-a-way" says Terri.